Maggie Kozel, MD is a board-certified pediatrician who graduated from Georgetown University School of Medicine in 1980, and did her pediatric residency training at Bethesda Navy Hospital, Bethesda, MD. Dr. Kozel moved to Rhode Island in 1990, where she practiced pediatrics for twelve years before leaving her practice to teach and write. For the past ten years Dr. Kozel has written extensively about how her experiences in medicine have shaped her ideas about health care reform. 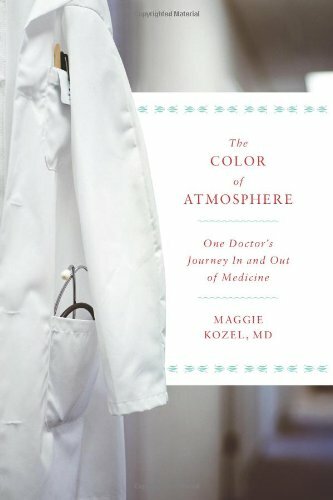 She has written a memoir, “The Color of Atmosphere: One Doctor’s Journey in and Out of Medicine.” Her blogs have been featured on NYT Well blog and Huffington Post as well as kevinmd and Sermo. Dr. Kozel lives in Jamestown, RI with her husband, Randy, and two daughters, and has recently returned, hopeful and reenergized, to the practice of pediatrics.